We can design and furnish the marquee to your exact requirement. We will sit down and go through your design and layout to ensure your marquee meets your expectations. We can provide any colour range in carpets, seating and tablewear. 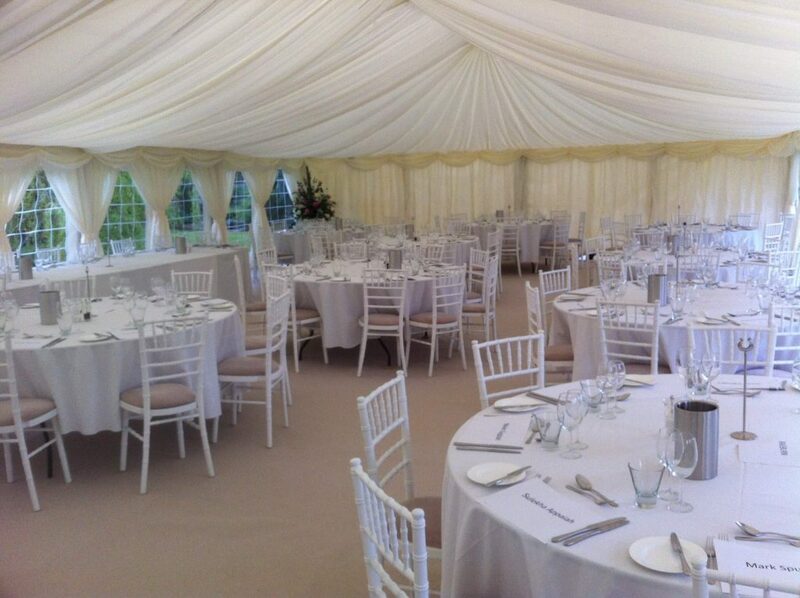 Our Marquee is 9 x 12 meters and can seat up to a maximum of 60 guests and 20% more if not seated. The marquee comes as standard with the following. We can also recommend where to hire Discos, Karaoke, Singers, Musicians, Bands and Children’s Entertainers, Florists, Ice Sculptors, Caterers and Buffets, Hog Roast. List is endless please contact us for more information.